Disclosure: We visited The Vancouver Christmas during their media night at no cost to us. All thoughts and opinions are always my own. 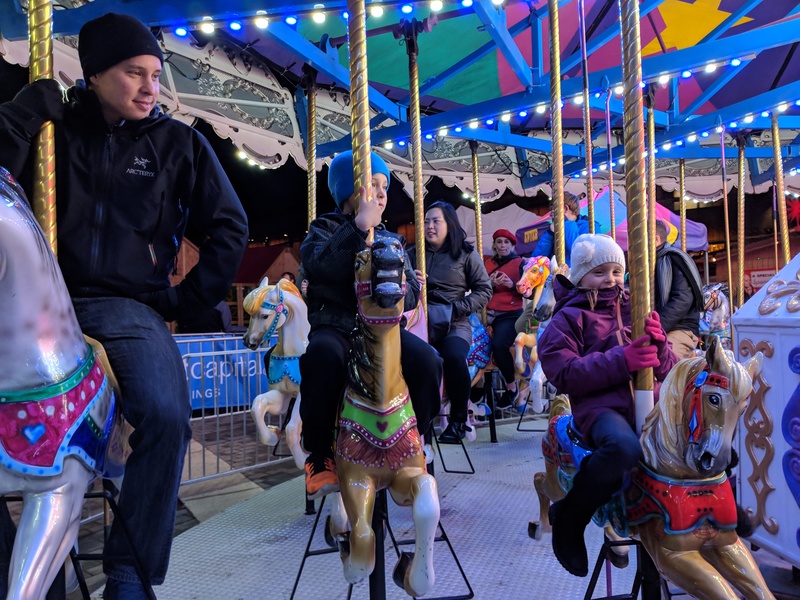 Looking for a fun thing to do with the family in Vancouver during the holiday season? 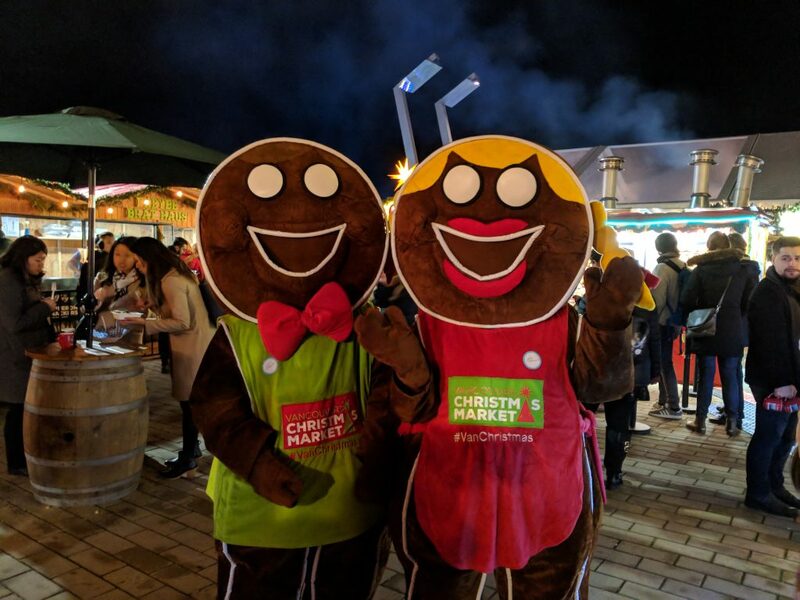 The Vancouver Christmas Market is now open and ready to welcome you until December 24th. 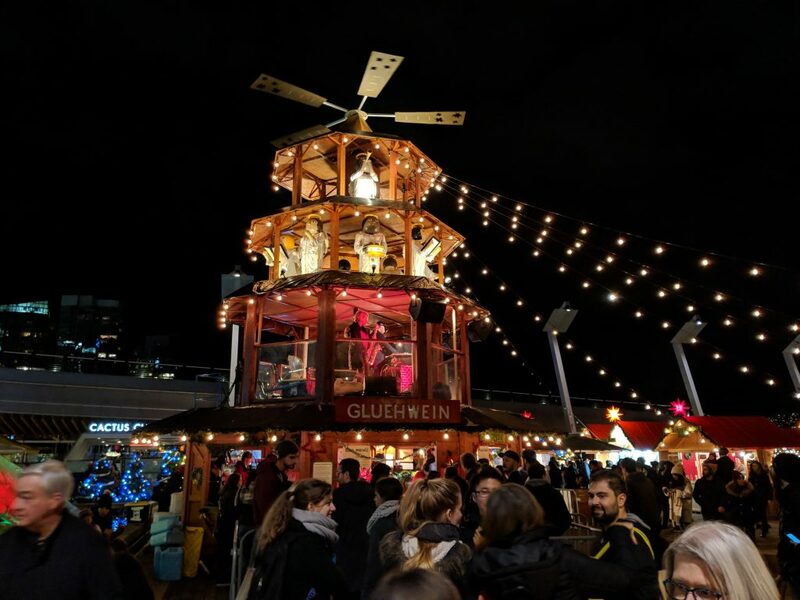 The Vancouver Christmas Market is located at Jack Poole Plaza and there’s so much to experience. 1> Hang with your little ones in the igloo for some time to craft. My daughter loved making snowflakes out of the colorful supplies. 2 > Delicious snacks and meals are everywhere – you’ll have a hard time deciding! My family enjoyed Pear’s Perogies, Das Kartoffelhaus hurricane potatoes, hot cider, and apricot Berliner. 3 > Snap a great family photo at one of the many picturesque spots. We were at the market during the evening and the lights and decorations were beautiful. 4 > In between the kids’ activities and the snacks, take a few moments to shop too. You’ll be able to check off some names on your Christmas to-do list in no time with unique gifts. 5 > You can’t miss the carousel! We finished off our visit to the market with a carousel ride that had everyone in the family laughing and smiling. The market has several special activities planned for this holiday season. There’s something for everyone! Canucks Visit from Erik Gudbranson (Dec. 7) – go head-to-head with Erik for a chance to score against him, in honour of Children’s Wish Weeks. I’d love to know, what type of traditions do you do with your family during the holiday season? This is beautiful. Toronto has a Christmas Market too. I love the carousel at the Vancouver one. So much fun! It sounds like a wonderful place to find unique gifts and enjoy the Holiday festivities. I absolutely love the carousel! Vancouver looks like so much fun ! I wish I could visit the Christmas market one day.. it’s like Toronto’s .. it’s really amazing! We always check out the Festival of Trees, The Gingerbread Showcase and we’ve always enjoyed Bear Wear but they aren’t doing it this year. This is sad for us… we’ve always had fun voting for a bunch of them – even won two years. I went to the Christmas market a few years ago when they first started. Seems like they have a lot more to do now! We like to go and visit Butchart Gardens, they’re beautiful. We also go to the Gingerbread contest in one of the hotels each year.